I’m trying to have a variety of sessions on a Thursday night but all involving hills. Today I decided to do my reps around Brodie Park. 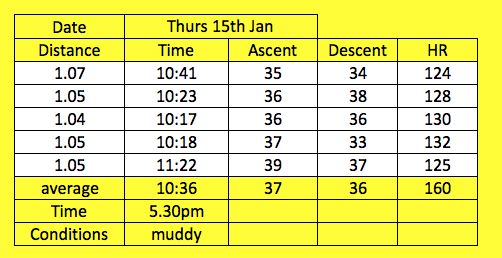 This is a good session as each lap involves 2 up hill runs and 2 downhill runs. Each hill is about 250 yards. I normally do 4 laps so 8 ascents and 8 descents. Tonight though I wanted to get 7miles in so added a longer warm up and did 5 laps. The ground was really muddy and it was very dark! I really should have worn my head torch but thought I could get away with it. Yesterday I interviewed Dave T for the latest podcast where we were discussing back to back runs. We also chatted about the races we’ve done and I was talking about the mud on the Hardmoors 30 and how we don’t often actually train running on mud and maybe we should. So I decided to embrace the mud and try and work out a running technique to keep moving. I found that shorter strides certainly helped! On the 4th lap I felt my hamstring ever so slightly so eased off and it seemed to be okay. I’ve decided I’m going to do that. If I feel it at all I’m going to ease off the pace and hopefully I won’t do any damage! So a decent session without pushing too hard. 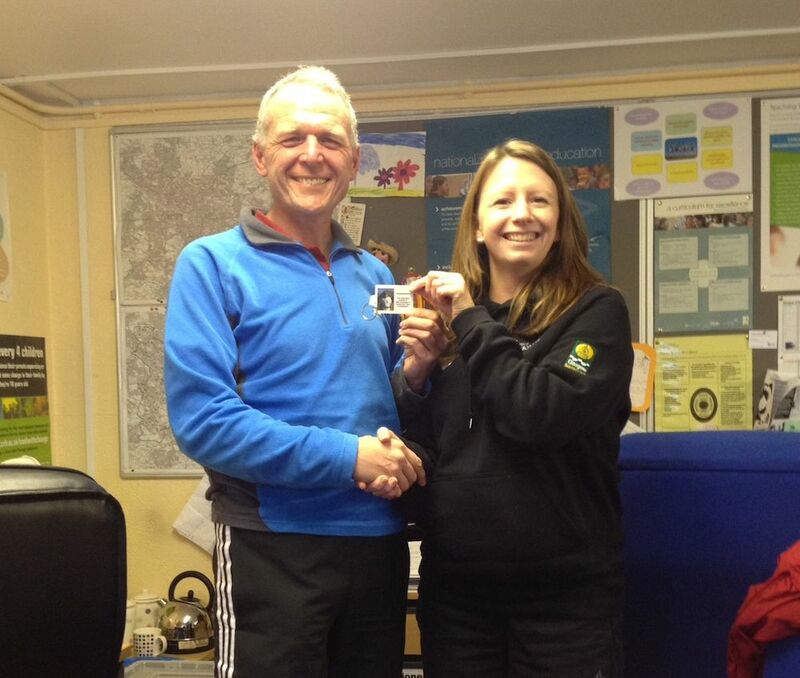 Yesterday I was able to award my friend and colleague Mo a special limited edition key ring for her closest guess in my latest ‘Guess My Time’ competition. Ultramarathonrunningstore have offered to give a prize for the rest of the Hardmoors series. So for the next ‘Guess My Time’ competition for the Hardmoors 55, 110 and 60 there will not only be a key ring but a prize from ultramarathonrunningstore! 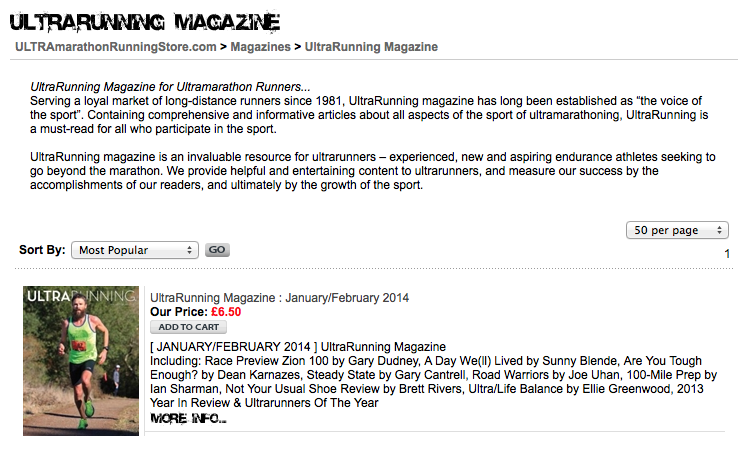 Keith from ultramarathonrunningstore also sent me an email yesterday about a magazine they have available. I’m looking forward to getting a copy …. Once I’ve read it I will give it a review.